I was not sponsored by The Kayak Shack to write this review nor did I receive free passes. We paid for this activity and this is my honest opinion and review. 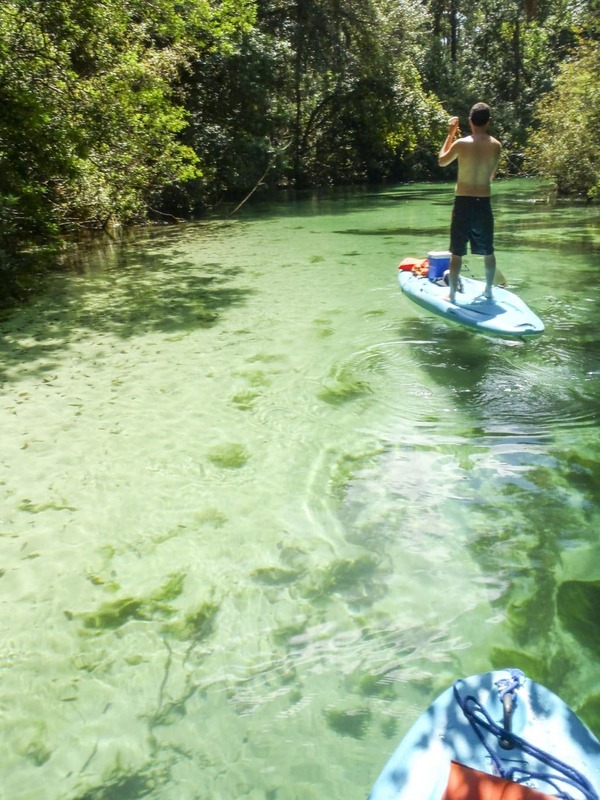 We went stand up paddle boarding (SUP) on the beautiful Weeki Wachee River in Spring Hill, Florida. 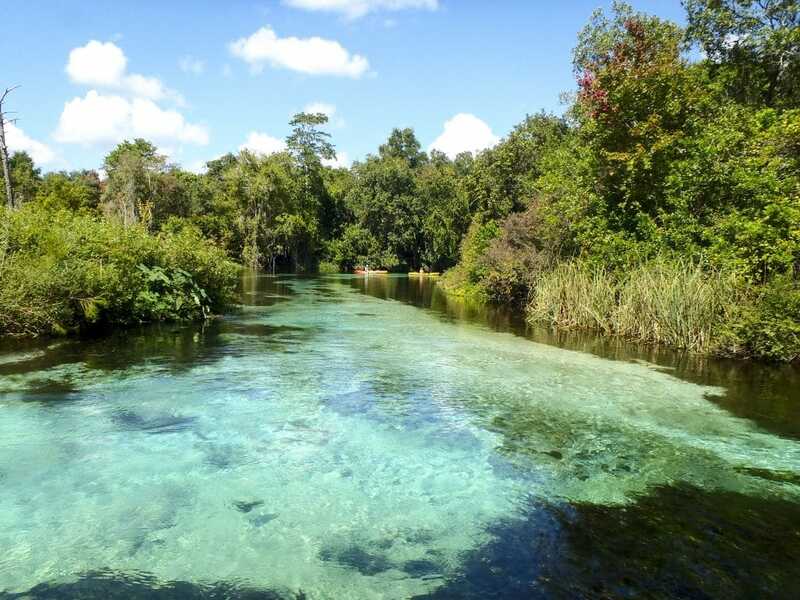 We wanted to take advantage of the last few days of summer and celebrate my birthday, so we went paddle boarding on the Weeki Wachee river. Wow, was it beautiful! I can’t believe I’ve lived here my whole life and never gone paddle boarding before! 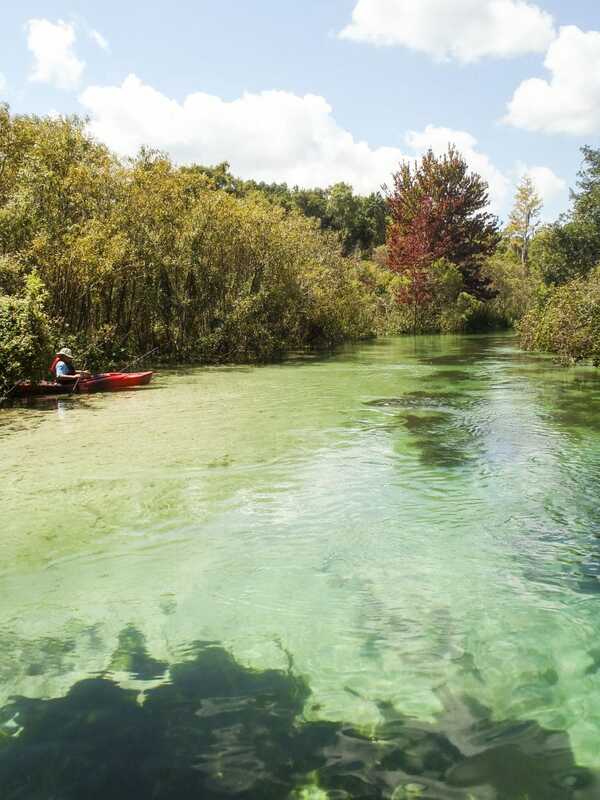 It’s definitely an experience that’s not to be missed, so if you live here or are visiting, get down to the river and rent a paddle board or kayak, and start exploring! Should You buy Your Own or Rent? We rented paddle boards from The Kayak Shack for $35 each. We arrived at 11am and were told that we could keep the paddle boards until 7pm. Since this is a special activity for us and not something we do often, it’s better for us to rent. I would definitely rent from them again if we get to go back one day. The people were very friendly and they have everything you could possibly need to go paddle boarding. 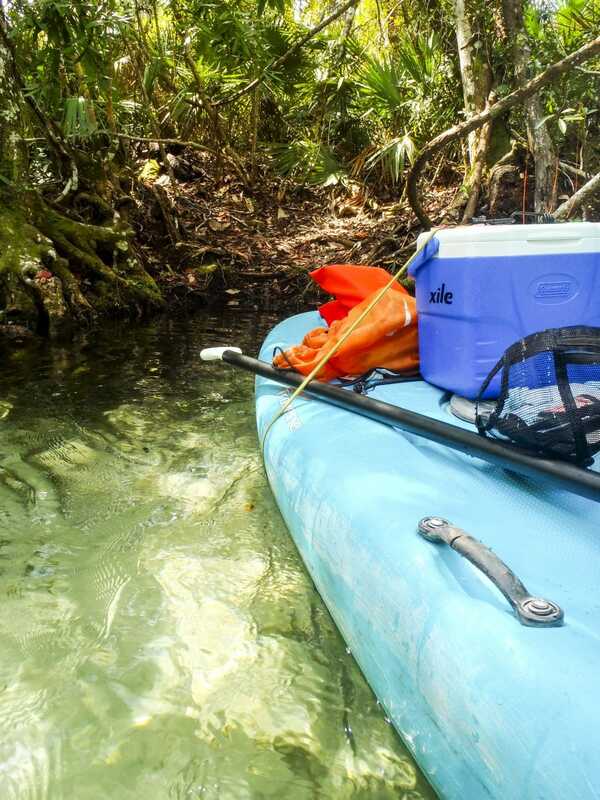 You park at the Kayak Shack, and they drive you in a big van with a few other people up to the head of the Weeki Wachee river. They transport the boards for you, and all you have to do is get on the board and paddle away! So much easier than dragging your own paddle board down to the river. We packed sandwiches for lunch in our cooler. Travis strapped it to the front of the paddle board with bungee cords just in case he flipped the board. Luckily, he didn’t, but it’s a good idea just in case. Before you get to the water, they check your bags and cooler, so don’t bring any glass bottles or alcohol. Make sure you bring water bottles with you. It’s very hot and there isn’t anywhere along the river to buy a drink. The path we followed was 5 miles long. Each mile is marked, so you can keep track of how far you’ve gone. There are lots of shallow spots along the shore so you can pull over, tie up your boards, and go for a swim or eat lunch. We stopped 5 or 6 times, the water was just so beautiful and refreshing! We saw a few rope swings along the river but the lines were long so we kept going. We stopped 5 or 6 times to swim, eat, and take a few pictures. The water was just so beautiful and refreshing! We saw a few rope swings along the river but the lines were long so we kept moving. The water is absolutely crystal clear, and freezing cold! Okay, it’s not really freezing, but it’s around 72 degrees! When your baking in the sun, and you jump in that cool water, it feels like an ice bath! We loved it! It’s pretty much a huge lazy river, the current is pretty strong and really helps to keep the paddle board moving! I saw a few people paddling up river…geez, what a workout that would be! When your baking in the sun, and you jump in the cold water it feels like an ice bath! We loved it! It’s pretty much a huge lazy river. The current is strong and really helps to keep the paddle board moving. I’m not an athletic person at all and I made it through with no problems. I saw a few people paddling up river…geez, what a workout that would be! I saw a few people paddling up river…geez, what a workout that would be! I saw lots of single and double kayaks, tubes, canoes, and small boats going by. Don’t be afraid to try the stand-up paddle boarding, if you get tired you can sit on your board and still paddle. I did that a few times to take a break. I also ran into a bush once and a mess of tangled vines, but some nice swimmers pulled me out and pushed me in the right direction! Everyone was very friendly. It’s so peaceful on the river, all you hear is the water lapping, birds chirping, and the wind rustling through the trees. You move through big open areas of the river, and lots of small, winding paths that you have to maneuver around trees and fallen logs in the water. If you love taking pictures of nature, bring a water camera so you can capture all the natural beauty! I did see some large banana spiders and huge webs, so watch out for those! Yikes! 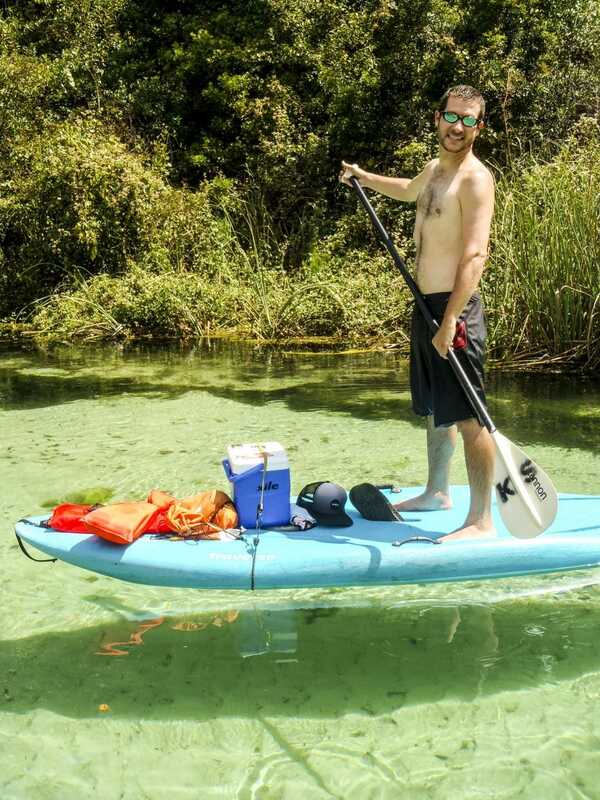 What Should You Bring to Go Paddle Boarding? We were prepared but I wished I had remembered to bring extra towels for the car ride home. This is what you need to bring with you! <— This is the paraben-free sunscreen I use and love! How Long Did it Take Us to Go Down the River? It took us about 5 hours to get down the river and back to The Kayak Shack, but we stopped a lot to swim. The best part of the day happened just as we were getting to the dock. Two huge manatees swam right underneath our paddle boards! It was so cool! I’ve seen manatees before, but I’ve never been in the water with them! They were much faster than I thought they would be, so I didn’t get a picture of them, but it was magical. I was surprised how calm they were, there was a bunch of people swimming in the water right behind us, and they just swam right around them! Overall it was a great day, and I can’t wait to go back! I hope you get a chance to try this out one day! If you do, remember to pack lunch, water, sunglasses, sunscreen and towels for the car! Happy last day of summer! What’s your favorite hometown summer activity to do? Let me know in the comments!